Here are the lists of Internet service to send fax for fre e via the Internet. All you need is a Web browser connected to the Internet, and sends the fax with the destination file from the document and fax number. Others require you to install special software to send fax on your computer. Why would you want to send Fax from your Computer ? * It’s free to send fax Worldwide, no International Rates. * It’s fast to enter the Text Message with your Computer Keyboard. So do not feel disgusted or disabled when your mobile phone does not work because you can send your SMS. 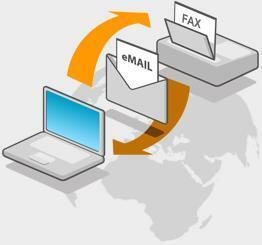 this a directory of several sites that allow you to send faxes for free.